Getting married in Jamaica is an exhilarating experience. The country enjoys tropical mountainous vegetation and coastal beaches that create an amazing natural scene for your ceremony. The array of top quality all-inclusive accommodations gives stiff competition to other high demand wedding destinations abroad. The marriage process in Jamaica is fairly simple. From choosing a wedding venue to ultimately obtaining your marriage license and certificate legally, expect a seamless operation. Overall, Jamaica destination weddings are also cost effective and are legally recognized in the domestic United States. Jamaica’s offerings ensure you will experience a variety of romantic activities and group outings to include the wedding party and guests. With entertainment on-site at an all-inclusive resort and off-site excursions, you can distress before your nuptials and relax after. Some things to look forward to are adventures in rainforests and spending time on the vibrant beach scene. If a Jamaican destination wedding is on your radar, you are probably both bubbling with excitement and filled with questions. Here you can find answers to some of the most frequently asked questions about getting married in Jamaica. Where should we get married in Jamaica? On the north coast of Jamaica lays Ocho Rios, a former fishing village home to many rainforests, rivers and waterfalls. If you’re looking for a secluded location with a jungle vibe, this may be the spot for you. Don’t miss out on seeing Dunn’s River Falls, a mountainous waterfall with lagoon pools waiting to be dove into. The capital of Saint James Parish, Montego Bay, boasts popular beaches and a touch of modern luxury when it comes to their all-inclusive resort properties. The white-sand beaches and turquoise blue water at every turn, the tropical celebration you’ve always envisioned can surely come to life in this bustling Jamaica town. Negril’s famed Seven Mile Beach is hard to pass up if you’re looking to exchange vows with your toes in the sand. The pristine stretch of pure-white sand and stunning sunsets offer an ultra-romantic feel for all occasions. Known for its breathtaking coral reef, green grotto caves and perhaps most famously as the birthplace of reggae legend Bob Marley, Runaway Bay is a great destination wedding location for all types of wedding groups. As one of the most scenic areas in all of Jamaica, the beauty of Runaway Bay is unmatched. When is the best time to get married in Jamaica? You could opt for a wedding from December to March in Jamaica as it is sunny and hot with a slight breeze from windy weather during this period. Specifically, the best time for a wedding in Jamaica is from January to March. 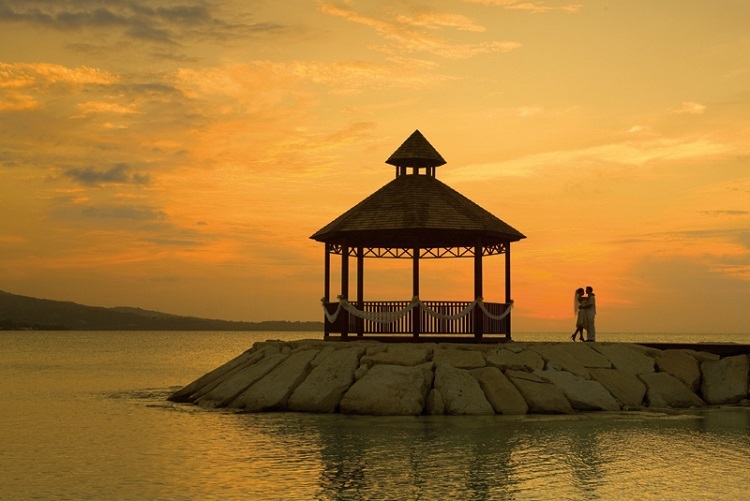 The ideal time to hold your wedding in Jamaica is early morning before 10.00 AM or near sunset close to 3.30 PM. That helps ensure you avoid harsh heat during the day and capture clear photos of everything you want to remember about your wedding day. What are some of Jamaica’s best wedding resorts? Celebrate your love story at Royalton White Sands Montego Bay. You’ll work with a professional wedding concierge to make planning a breeze while ensuring every detail of your special day is executed to your liking. The resort offers a number of beautifully crafted wedding packages that meet different needs, styles, and of course, budgets. Each wedding package comes with a personal wedding coordinator, ceremony location, wedding cake, 10% discount on spa services, late checkout for the couple, and dinner reception. Additional features depend on the package you choose. If you wish, you can also purchase add-ons to enhance your stay. Plus, a honeymoon package and an elopement package are offered so all couples have the opportunity to experience romance with Royalton White Sands Montego Bay! You deserve to have the wedding of your dreams and Iberostar Grand Hotel Rose Hall is ready to make that happen. Whether you’re looking for a small, intimate wedding or wish to celebrate with a group of family and friends, there’s something for every couple. Options are endless with ten wedding packages that offer a number of essentials based on your requirements. All packages come with an onsite wedding coordinator, wedding venue set up, wedding cake, cava toast after the ceremony, minister, judge, or priest, bouquet and boutonniere, and witnesses if they’re required. Other features are included depending on which package you decide on to create the wedding day you’ve always wanted. Begin your new journey with a picture-perfect wedding at Secrets Wild Orchid Montego Bay. Three different wedding packages are available with the option to personalize whichever one you pick so your day is exactly as you imagined it. Luxurious package inclusions like an onsite wedding coordinator, bouquet(s) and boutonniere(s) for the couple, wedding cake and sparkling wine, turn-down service the night of the wedding, and more create romantic moments from start to finish. Say your vows at a beautiful gazebo or on the soft sands of a private beach before celebrating your marriage with loved ones. Your guests will be complimenting your wedding day for years to come! Wedding dreams come to life for couples who tie the knot at Luxury Bahia Principe Runaway Bay. A blend of tropical sunshine, exotic scenery, and the warm sea breeze creates the perfect setting for your big day. Couples have five wedding package options to pick from, including a complimentary option, complete with all the necessary amenities and special treatments for a truly magical experience. Invite up to 30 of your closest friends and family to join you as you say “I do” in paradise (extra guests come at an additional charge). Your wedding package can feature essentials and perks such as floral décor for your ceremony and dinner, wedding cake, toast after the ceremony, late checkout for the couple, and much more. Your wedding day at Luxury Bahia Principe Runaway Bay will surpass all of your expectations. An occasion as special as your wedding deserves to be incredible. Azul Beach Resort Sensatori Jamaica has all the right tricks to guarantee that it is. With the help of a professional wedding team, you’ll enjoy a stress-free experience leading up to the best day of your life. Couples will be able to customize their wedding package so that their specific style and taste shines through in every detail. A romantic ceremony location with elegant décor sets the tone as you say your vows. Enjoy gourmet cuisine in a private or semi-private reception with your guests as you toast to your new chapter. You won’t want the celebration to end! What is the cost of getting married in Jamaica? Jamaica wedding destinations are numerous and are located in different areas that will offer you price variety for your wedding. The price of destination weddings range from $35 to as high as $950. All-inclusive wedding packages in Jamaica cost $200 and above. You will find wedding packages offered all-inclusive with a flat price for the cost of wedding arrangements. Many resorts in Jamaica also provide a complimentary certified wedding planner to help you with the intricate details of your big day. Alternatively, some resorts will refer you to a wedding coordinator for planning. What requirements (legal or otherwise) does Jamaica have to get married? Getting married in Jamaica is a simple process that only requires a few documents. The paperwork you will need is proof of your citizenship such as birth certificate, a certificate of divorce, a death certificate for widows and widowers and parental consent in writing if below 18 years of age. The bride and groom should be in Jamaica 24 hours prior to the wedding ceremony. You also need to have a wedding license. You can request the license at the Registrar General Department at least two weeks before your wedding date. Expect to pay of fee of around $75, depending on the exchange rate in the area at that time. After the wedding, the same by Registrar General Department will provide your official marriage certificate. Getting married in Jamaica will give you an effortlessly beautiful wedding in the tropics. Among the many reasons to get married in Jamaica, it’s a destination with easy access and endless options. 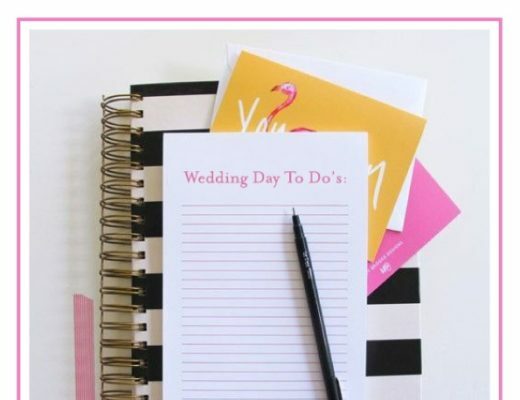 Affordable all-inclusive options, wedding packages, and the choice of a certified wedding consultant takes a load off your planning process. 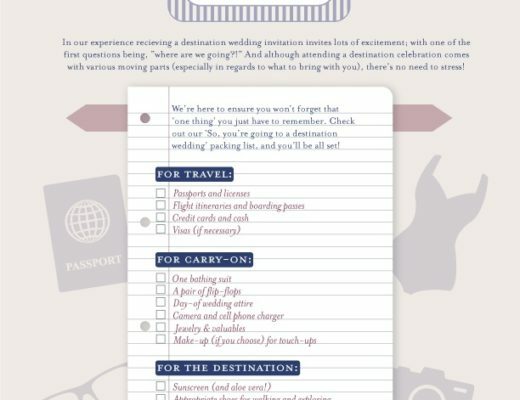 These benefits make it easy to have a memorable destination wedding experience. 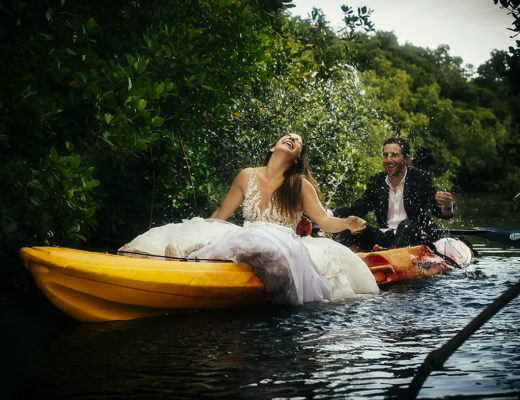 Trash the Dress Wedding Photography: Yay or Nay?